Fair Trade Kosher for Passover Chocolate! Celebrate Pesach this year with the sweet taste of child labor-free Fair Trade Kosher for Passover chocolate! Seven of Equal Exchange's pareve chocolate bars (including minis but not candy bars) are now included on the Conservative Movement's Rabbinic Assembly's 2015 List of Approved Passover Foods. You can buy them at Equal Exchange's online store, Whole Foods, Ten Thousand Villages brick and mortar stores, and your local food coop. Or, call Equal Exchange's Customer Service Line, 774-776-7366 to find a store near you. There's still time to organize a fundraiser for your school or synagogue! Contact ilana@fairtradejudaica.org for more information. Talia Cooper's song from our 2013 song contest went viral, and you'll love it as well! Her rendition of the familiar Dayenu song raises the contemporary Passover story of children enslaved in cocoa fields in an inspiring and fun way. You can watch Talia's YouTube video and download the lyrics for your own Seder experience. What better way is there to celebrate having Fair Trade Kosher for Passover chocolate this year than making a chocolate flavored charoset? 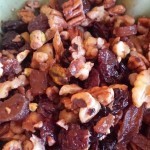 Thanks to Oakland vegan chef and caterer, Philip Gelb, for creating this recipe just for Fair Trade Judaica to share with you! This blog post was written for and published in The Jew and the Carrot. As we celebrate our people's freedom during Passover, let us remember that others are still enslaved. Fair Trade Judaica has developed several readings that you can add to your Haggada during your Passover Seder, focusing on the role of trafficked and enforced child labor in the cocoa fields. There are photos of cocoa beans that you can download for free and place on your Seder plate, symbolizing that slavery is still, unfortunately, a contemporary issue. We have beautifully crafted beaded Matzah Holders and hand painted Ten Plague Coaster Sets available at our online store! 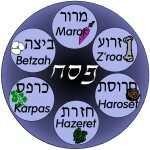 Great to bring as a gift or to decorate your Seder Table. Order by Monday, March 30 at noon Pacific time and we will ship your order by Priority Mail so it arrives as quickly as possible. Save Saturday May 8-9 for this year's Fair Trade Shabbat program (Parshat Emor). Thousands of people around the world will be celebrating World Fair Trade Day, and Fair Trade Judaica is putting together a unique program for synagogues and other groups to observe this day Jewishly. We are excited to partner with the Rabbinical Assembly of the Conservative Movement, which is promoting this to their synagogues! For more information, contact ilana@fairtradejudaica.org. 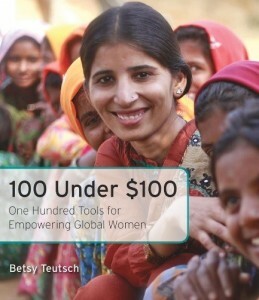 Come be inspired by Betsy Teutsch and her new book, "100 Under $100 - Tools for Empowering Global Women" at a book launch party on Tuesday, April 28 in the SF Bay Area. The highlighted tools provide women a toe-hold to climb the ladder out of extreme poverty. This is also a fundraiser for Fair Trade Judaica, and Betsy is one of our much-appreciated board members! Contact ilana@fairtradejudaica.org for more information. Read this great article on why fair trade is so important as commodity prices drop around the world. Lower prices mean lower incomes for farmers and artisanal miners, creating a greater role for the Fairtrade premium. 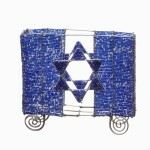 Celebrate the holiday of freedom and liberation with Fair Trade Judaica's beautiful and inspiring Jewish Blessing Flags! We have just received a new shipment from Nepal. Give the gift of blessings to someone you care about. Fair Trade Judaica is a project of Community Partners/Jumpstart. 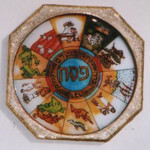 Fair Trade Judaica is a member of the Fair Trade Federation. 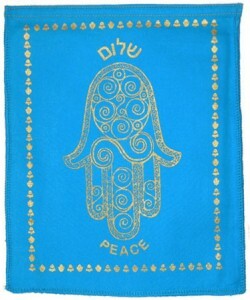 Copyright © 2007-2015 Fair Trade Judaica, all rights reserved.